It was my birthday dinner with the family, I was given chance to choose what I want. 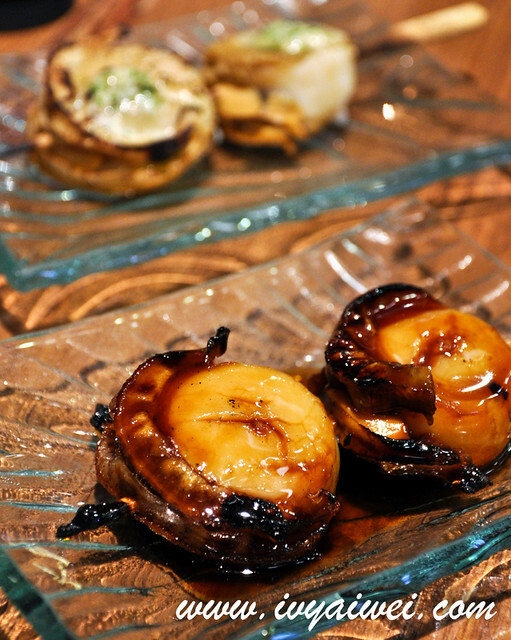 Having heard of Senya Izakaya for quite some times, guess it’s time to move down town for it. 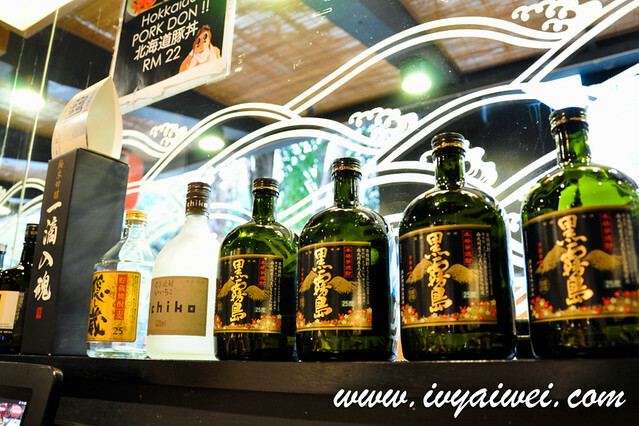 Located just right above my favourite ramen joint, Menya Musashi at Jalan P. Ramlee, Senya Izakaya is a great Japanese izakaya that specialised in charcoal grilled items and wide variety of sake/ liquor. 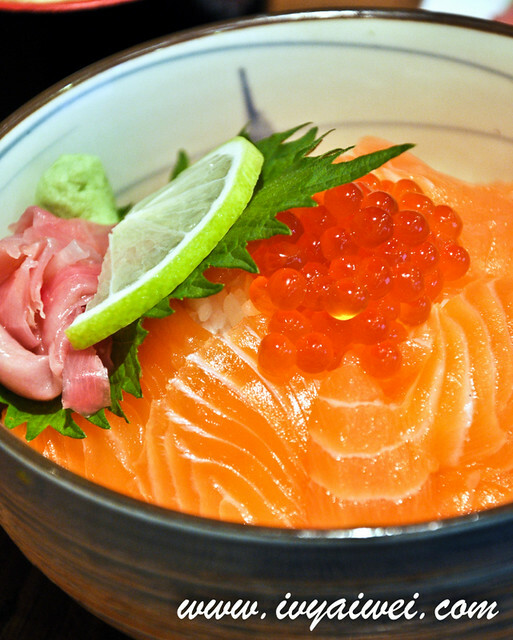 Of course, they do have a few choices of food like sushi, sashimi, noodles and don for you to choose from besides kushiyaki and beverages. 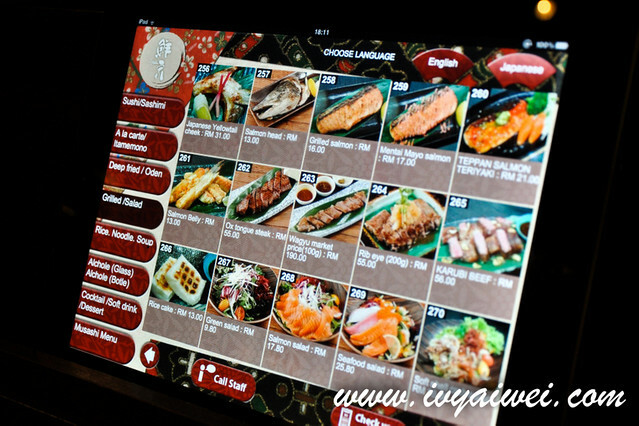 Browse through the menu with the iPad, send your order and your orders will be on your table shortly. The service was pretty fast and attentive. We hadn’t finish ordering and what we ordered were up one by one on the table. It was so fun too especially ordering through iPad. We actually couldn’t control swiping through the menu and click order. 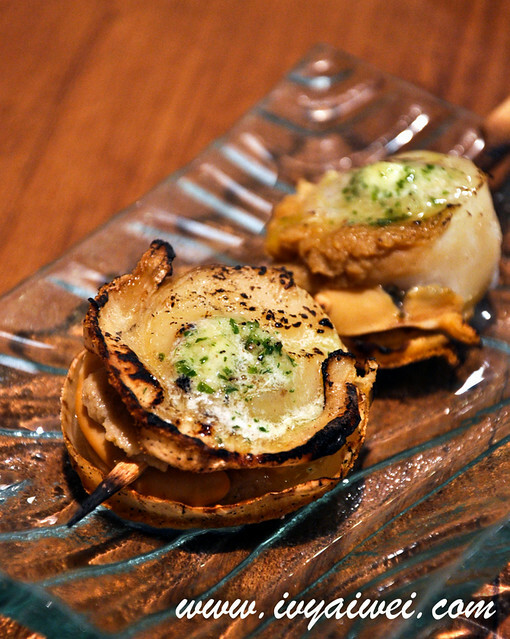 Fresh scallops seasoned with just salt and grilled over the fire, as simple as that. 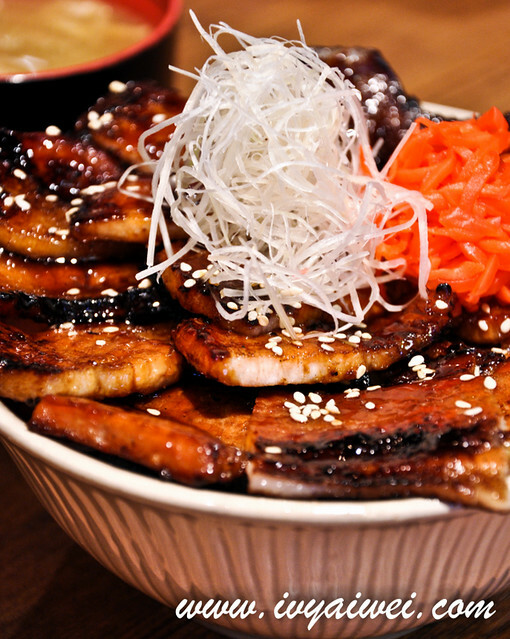 Grilled with sweet teriyaki sauce. 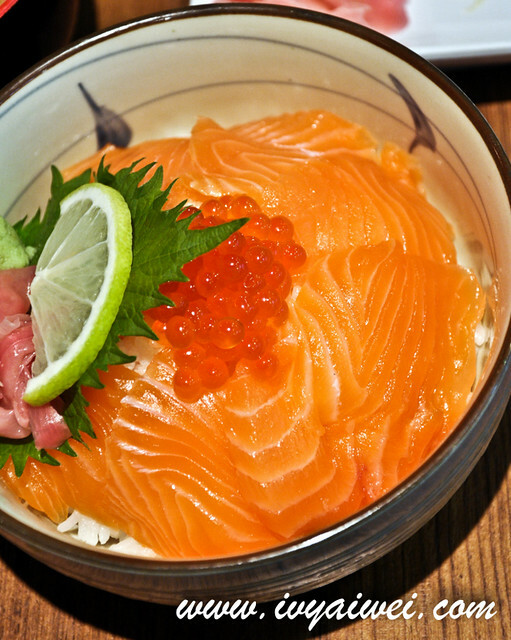 Fresh salmon sashimi and roe served on a bed of sushi rice. 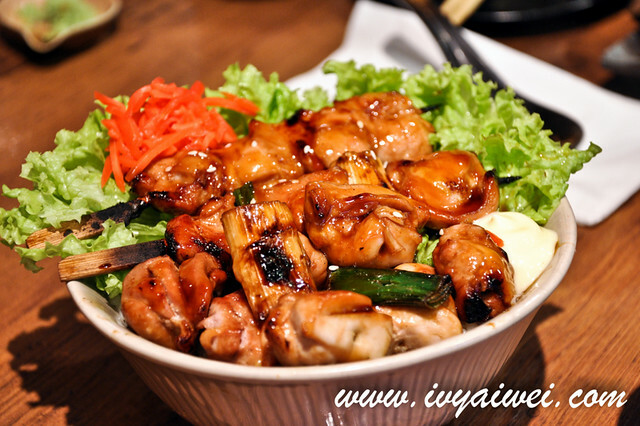 With fats and lean parts that distributed evenly on every pieces of meat, coated on the special sweet bbq sauce and grilled to perfection. 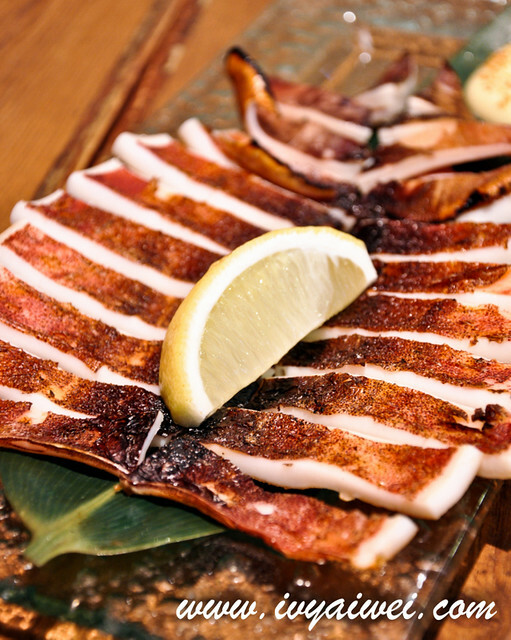 Love the crispy charred edges on the pork slices. This was way so good! Must order this if you are here. 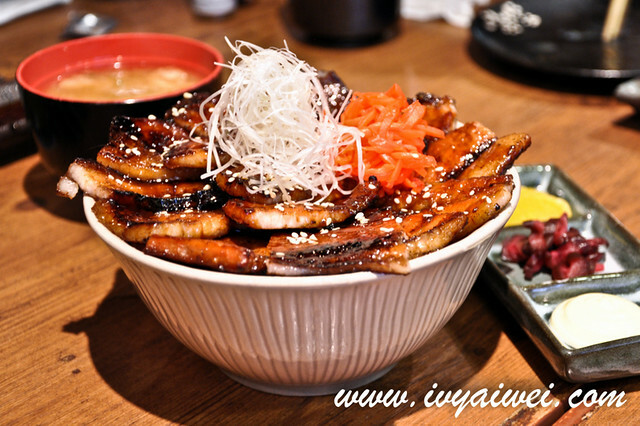 It comes with a huge bowl of white rice, miso soup and pickles too! 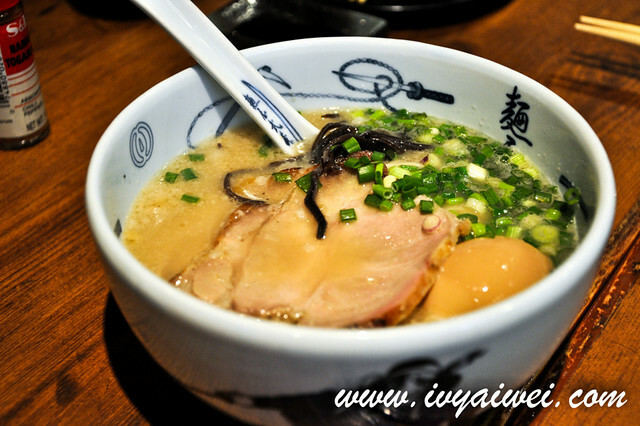 You can also order ramen from Menya Musashi, it’s all in the menu. Served with 2 pieces of roasted pork, ajitama, spring onion and black fungus as well as the springy ramen in the pork bone broth; I fancied Menya’s version over the other ramen house. Another great grilled stuff with chicken thighs that chargrilled into perfection. 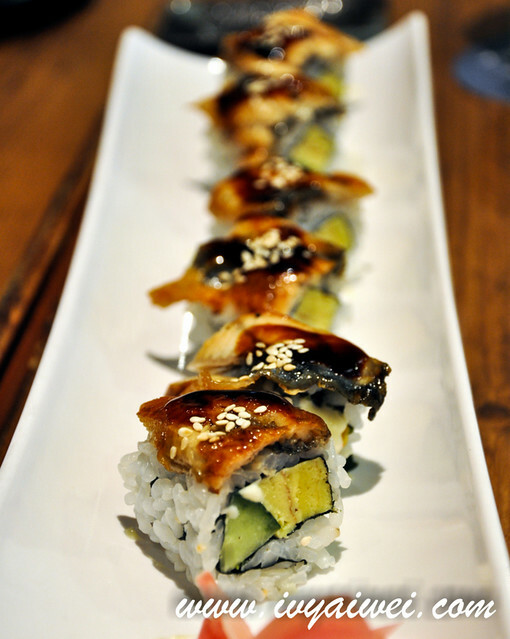 Served with white rice, miso soup and pickles too! yeahhhh, finally eh!!! I am gonna revisit soon! the pork don is toooooo good!!! great for sharing to try out more! Hi ivy , May i know nearby which shop? 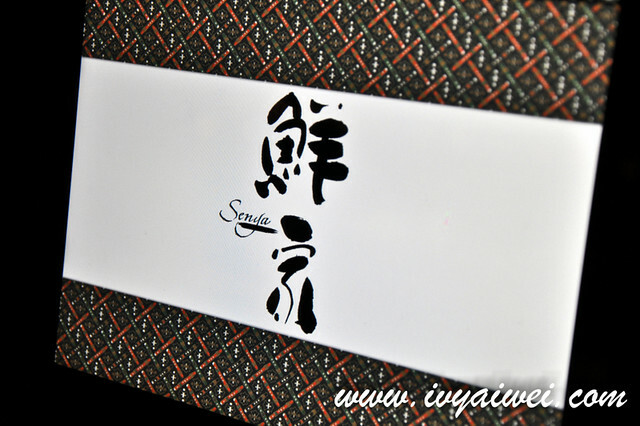 Need to ask if compare senya izakaya , the kobe japanese & ishin japanese ..
All look like yummy , can’t consider which better. I actually love all of them. 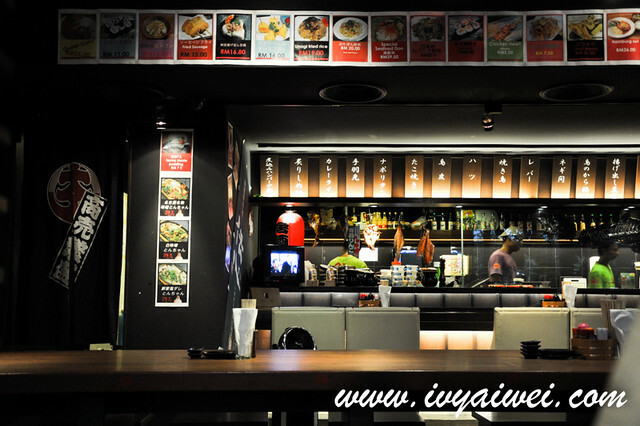 how about i categorize them into 2 groups – ishin and kobe in a same group and senya izakaya another one. is it a good place for happy hour ? Yes!!! A great place for happy hour.